Matt Hill’s biggest selling star was of course his brother Arzel (“Z Z”), but Sonny Green made a very good second string. And if you like that West Coast soul/blues style as I do Green is a name that springs to mind pretty easily. 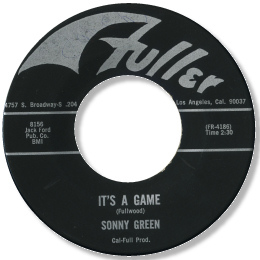 Of his 60s recordings, the bluesy ballad It’s A Game is probably the best, with a fine tortured Green vocal. But the higher production values in the later decade paid immediate dividends as his excellent double sided debut for Matt Hill showed. 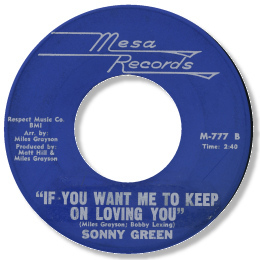 If You Want Me To Keep On Loving You is a lovely blue soul item, very much in the “Don’t Make Me Pay” mould – super electric piano and guitar, plus a fine horn section and a committed vocal performance. What more could anyone want? 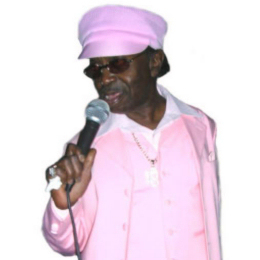 The flip “Jody’s On The Run” is a real funky screamer of an answer to Johnnie Taylor’s smash. 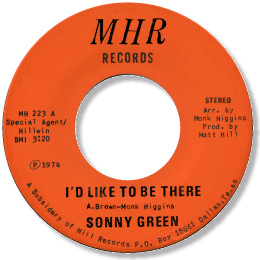 This 45 is a very good place to start if you don’t know Green’s singing credentials. The more restrained and controlled “You Got The Love I Need” is very well judged indeed. A fine straight soul effort featuring another excellent vocal, with a raucous funky flip. Don’t Write A Check With Your Mouth (That Your Body Can’t Cash) - to give the song it's full title - is easily Green’s most famous song, with the best, most pointed advice to prick teasers ever cut. 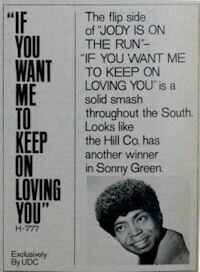 The song is again based on the “Don’t Pay” structure, but that’s no bad thing as it’s so catchy – no wonder it was Green’s only chart entry. “You Better Take Time” doesn’t have the lyrical novelty of his previous release, but it’s still a very good beat ballad, and the string section is kept well down in the mix. “The Power Of Love”, another mid paced number shouldn’t be overlooked either. But for my money his next 45 was superior. “I’d Like To Be There” remains a personal favourite, not least for Green’s splendid impersonation of his namesake Al in the vocal! And I'm Just Your Man is an even better song, with Sonny at his gritty best. There wasn’t much music like this produced in the mid-70s unfortunately and we should thank Green for sticking with more traditional soul styles. Thanks to Zack Slovinsky for the photo and Alasdair Blaazer for the introduction. And to Pete Nickols for searching out the lovely Billboard ad.